Written by: Greg Zelnik on November 4, 2014. Recently, one of my wife’s cousins asked us to be the God Parents of their second daughter. These are cousins that we are more close to and felt that it would be an honor to be Meagan’s God Parents. 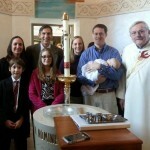 The Baptism was this past weekend. 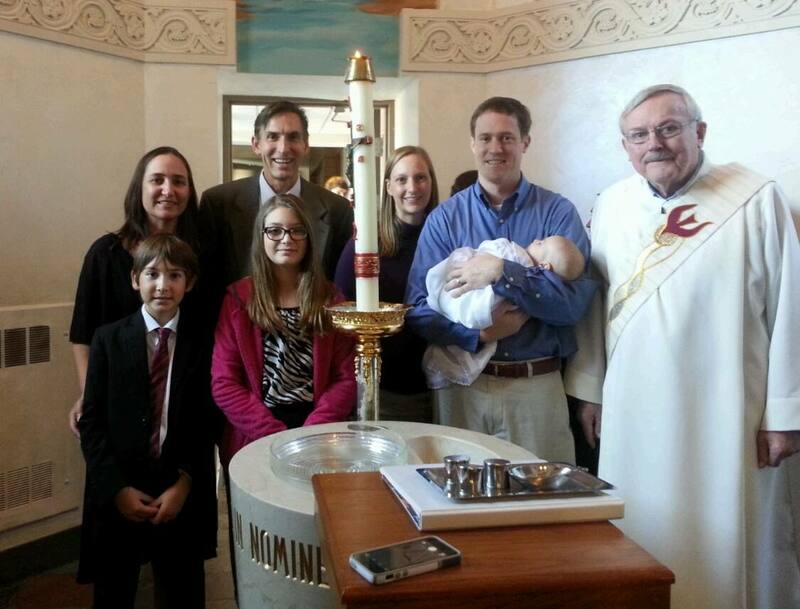 We did not need to be at the baptism especially because it was in Columbus Ohio. They could have had someone stand in for us at the christening but we decided to make the trip. After a little car trouble we were able to get on the road by 3:30 pm and arrive in Columbus at 11:30 pm. The church service was at 12:30 so we were able to have a relaxing morning to get ready and be at the church on time. After the service was the baptism and then we went over to the parent’s house for family time. We were able to meet new family and spend time with a small part of my wife’s family. The parents and the grandparents were all very appreciative that we made the effort to be there for this special day. It was time well spent. We were able to spend time with family in a smaller setting than normal, we got to know our cousins better, and we gave our children the opportunity to get better acquainted with their cousins and second cousins; hopefully also instilling the importance of family in our children as well. We spent all most as much time on the road as we did at our destination, so it was kind of a whirlwind trip but it was worth it and we look forward to spending more time with this part of the family again in the future.